Austria is, for obvious reasons, a ski power. Most of the country is covered by the Alps, allowing for skiing in both winter and summer (on glaciers). The multitude of ski areas enables all fans of skiing, regardless of competence and tastes, to find the perfect resort and routes for themselves. Ski tourism developed in Austria already in the nineteenth century. In the 30s of the twentieth century, ski schools started to appear, and in 1936 the first t-bar lift was opened. The first chair lift was made available in 1947. The years after the war brought about rapid development of the ski infrastructure, as alpine resorts discovered the benefits of winter tourism. 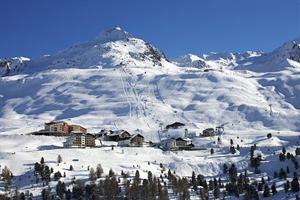 The largest ski resorts in Austria have developed over the years a strong position in the market of winter recreation. Among the top ten largest Austrian ski resorts there are only two in which the total number of routes does not exceed two hundred kilometers. The largest selection of slopes can be found by those going for a ski holiday to Zillertal - in this long valley there are 7 ski stations offering runs with a total length of over 450 km. Skiing down over 300 kilometers of slopes is also offered by the St. Anton am Arlberg - Lech-Zuers - Waerth-Schroecken ski resorts, Soelden in the Oetztal valley, Ischgl - located almost on the border between Austria and Switzerlandand the largest in the Salzburger Land ski area of Salzburger Sport, in which skiers and snowboarders have at their disposal up to 329 km of runs. The largest number of trails, which you can ride down without taking off your skis, is provided by the Skiwelt am Wilder Kaiser resort - 279 km of trails are available here from eight towns.